If there’s one part of vehicle maintenance that’s important to keep up with, it’s an oil change. Getting your oil changed regularly is probably the single best thing you can do for your engine! Oil lubricates the moving parts of your engine, keeping them cool by reducing friction and carrying away heat from critical areas. It also combats rust, reduces engine noise and helps remove contaminants from the engine. Over time, heat breaks down oil. 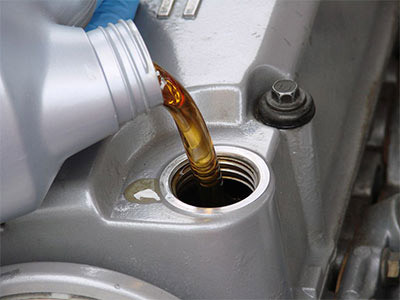 It can make the oil gummy or watery, so that it doesn’t lubricate the engine properly. To improve performance and reduce the need for repairs, it’s important to follow your manufacturer’s oil change recommendations regularly. For quick and reliable oil change services in Howell, MI, look no further than Mazur's Total Automotive. Our skilled technicians are ASE certified to provide top quality oil change and lube services on all makes and models of cars, trucks and SUVs. We use high quality equipment and products to keep your vehicle running smoothly. Whether you vehicle requires synthetic, semi-synthetic, or regular oil, we provide a fast accurate service to get you back on the road as soon as possible. Don’t underestimate the value of having a trained professional under the hood of your car! While performing your oil change, our team is able to look for fluid leakage, broken or worn-down parts and other trouble spots that may cause problems down the line. As a full-service auto repair and maintenance service center, Mazur's Total Automotive can handle all of your auto repair needs – from your oil change to your brake repair, engine repair and more! Give us a call or schedule an appointment online today.